Zara white shirt, clutch, and wedges. 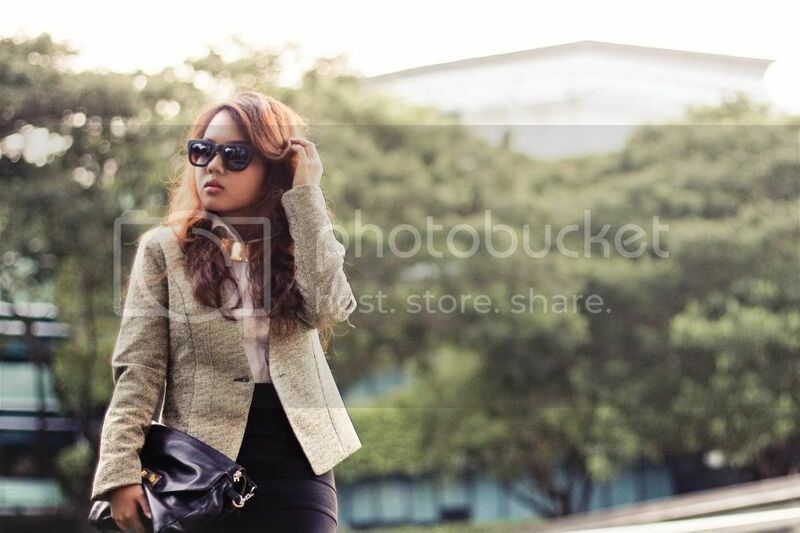 Forever21 blazer and skirt. unbranded choker. Found this blazer in a speed shopping, cause i need a piece of new clothing for an event. 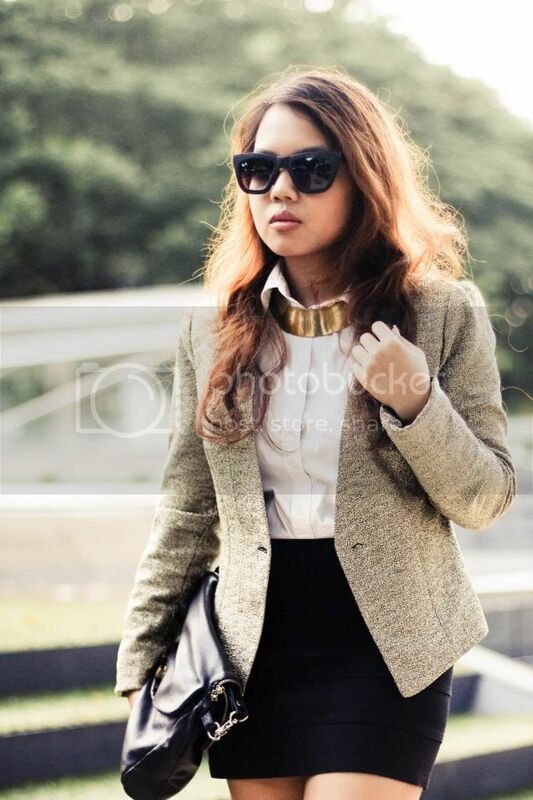 For this outfit, i paired it with basics like crisp white shirt and black skirt. This makes an ensemble for quite a formal event, office attire shall not be boring, yes? I can imagine wearing this outfit while sitting behind my desk in my future studio. Sorry for not posting anything these days. I have just come back from my hometown for Chinese New Year. Had an amazing time and hope you all do too! Had lack of sleep last night and sleepily caught a flight this morning. Just wish to be relaxed tonight! By the way what's your plan for Valentine's day? Me encanta el look, la chaqueta muy bonita. 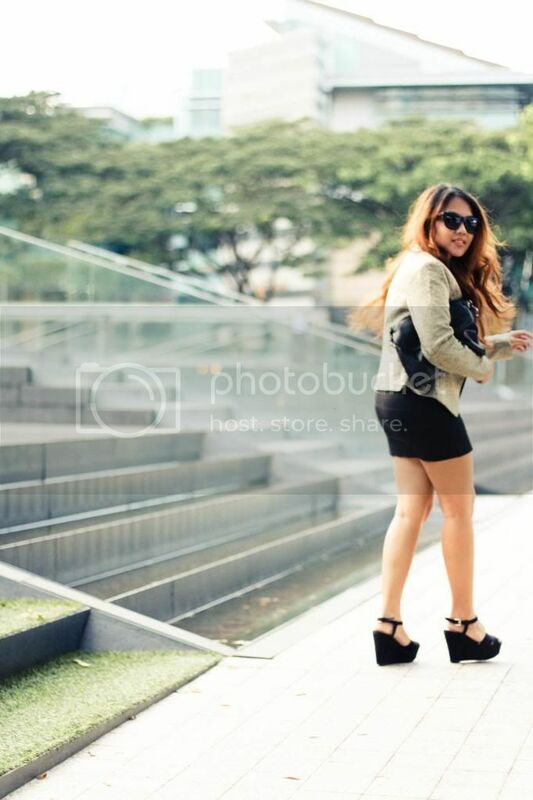 I'm so glad I found your blog, you have great style. Hey your new follower and subscriber here! Thank you for the comment and follow! Followed u back! Wow, lovly look my dear! just perfect. Outfit is great and pictures as well! Thanks for sharing such a nice post! Gorgeous Fhenny! I love that blazer, and yes, I can see you wearing that at your future studio. PS. Happy Chinese New Year and Happy Valentine's Day! love this!!! that necklace is superb!!! :D chic outfit! Hi, im your new follower, want to follow me back?? I really love those shots! super editorial. I am so grateful that a very cool blogger like you may take a peek on my newbie and amateur blog. Amazing look. Thank you dear for your comment. I'm your newest follower on gfc. Follow me back on gfc and bloglovin? You look beautiful! I am taking sophistication styling from you! I need to crack that work-look and you nail it! fabulous outfit! i love your jacket!! you look adorable!!! And second your outfit is awesome! THank you for visiting my blog, you are beyond gorgeous! 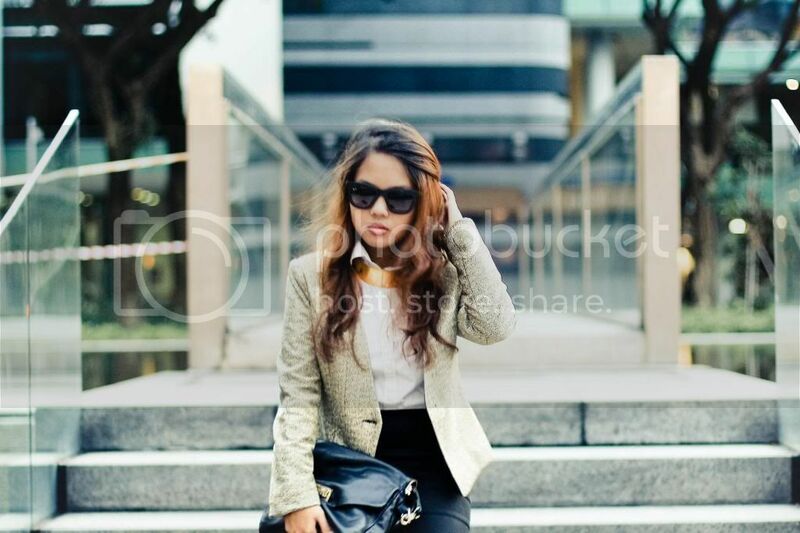 Hello dear :) nice blog and amazing outfit! now I follow with pleasure;) if you want to go by myself!